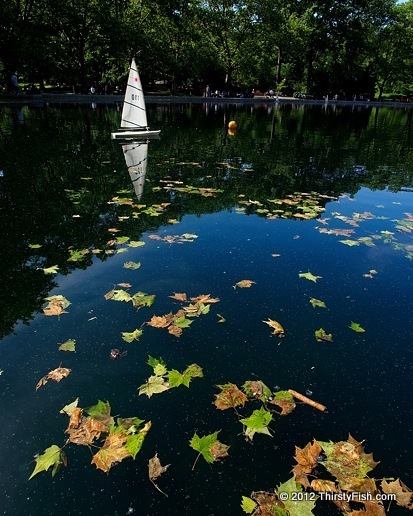 The Central Park Conservatory Water is an ornamental pond that was originally constructed as a reflecting pool for the conservatory. The pond later became a popular spot for radio and wind powered model boats. If you do not have your own model boat, you can rent one there. -- Paul Simon in "Kodachrome"